Download Torrents and Files directly to your personal cloud. 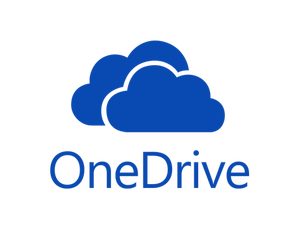 Microsoft OneDrive for Business, Backblaze B2 & Box now available!! Transfer files from Links, Torrents, Magnets or other sources directly to you Cloud account (Dropbox, Google Drive, Amazon Cloud, Onedrive), or download and stream securely to your computer. DOWNLOAD MOVIES, MUSIC, PICTURES, ETC. Transfer All type of files, as many as you want, no bandwidth limits! Easy to use, available on all web browsers and mobile devices. All files are kept private, only you can see and access them. Files are downloaded on the cloud by the server, your computer and IP address are not registered during download. even when you are offline! See PRICING for more plans. Q1 Can I download and transfer files for free to test it out? Q2 Can I download multiple files from a website? Q3 File takes too long to download, or seems to be stuck. Q4 I have a lot of files that are very big, will they download? Q5 I want to download an even bigger file! And I want more concurrent downloads! Yes! Just register and validate your email, and then you can download the files to a free 1 GB space. You can then transfer them to your personal cloud space automatically. Yes! Paste an URL, and all files and subdirectories will be downloaded, up to your free space! Server first makes a list of all files and the total file size. This should be less than the free available storage space you have available. Then it downloads all files to the server, keeping a copy of html files, images, zip files, media files. Then all these files are transferred to your cloud. Be sure to have free server space available for the size you want to download. If it is queued and there is too many active torrents, it will be cancelled. But remember, it's only for active torrents, if you transfer your files to your cloud, that space will be freed for other queued items. Please contact us, we can provide custom plans, bigger spaces and even provide a full dedicated server for more powerful downloading!